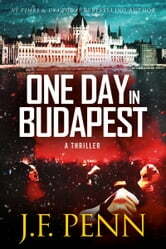 If you love a fast-paced thriller, download a sample or buy One Day In Budapest now. "Penn has a degree in theology and her knowledge and research, of ideas and locations, really shines through in these stories...as rollicking thrillers these books are great." 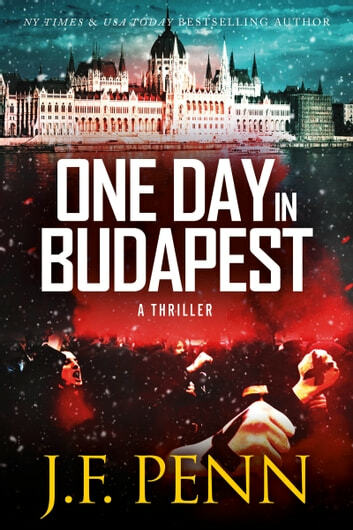 One Day In Budapest features Dr Morgan Sierra from the ARKANE thrillers, but is a stand-alone novella and can be read separately from the ARKANE series. It was good to hear from if penn s character Morgan again..it was a good stop gap in the arcane series. Hard to breath at times couldn't flick the pages fast enough. One Day in Budapest book four in the series. I was given a free copy for an honest review. J. F. Penn is fast becoming one of my favorite authors. I read the first three books in the series and enjoyed them immensely. she has written another exciting fast packed adventure that takes Dr.Morgan Sierra from London to Budapest to deliver an artifact stolen from the Gold Train. While there she gets involved with Zoltan the security consultant at the Synagog where she delivered the package. Someone is trying to frame the Jews with brutal the killing of the priest at the Basilica where they stole the Holy Hand of St Istvan, a relic that is important to all the people of Budapest. Go along on the adventure as Zoltan and Morgan track the ones that are guilty. Can they find them to prevent more deaths and destruction. I highly recommend this book.